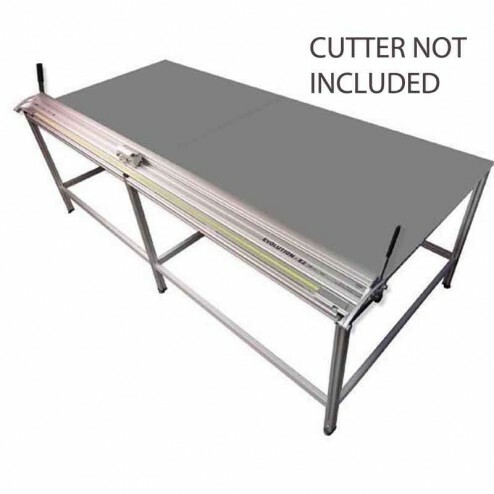 The Foster 60954 Keencut 144" Evolution 2 Bench saves time and money. Combine the Evolution 2 Bench with the Evolution-E2 cutter to create the ultimate precision cutting table. Now the Evolution-E2 cutter has the perfect bench.The cutter can be easily installed onto the bench without installing the worktop first. Only one thick worktop is required to bring the top level to the Evolution-E2 cutters base. Works specifically with the Evolution-E2 Cutter 60390.